The University of Wyoming is the No. 1 university in the nation for out-of-state students in a new ranking list that takes into account academic quality, affordability and accessibility. In addition, UW ranks No. 12 in the country for in-state students based upon those same factors, according to the “Best Colleges and Universities 2014 A-List” released recently by CollegeAtlas.org. The Utah-based website, which bills itself as “the encyclopedia of higher education,” says its rankings were based upon academic quality (40 percent), affordability (28 percent), acceptance rates (27 percent) and other factors such as enrollment size (5 percent). Academic quality is determined through a combination of US News & World Report and Forbes undergraduate rankings. The CollegeAtlas.com rankings of the top universities for out-of-state students, in which UW is ranked No. 1, can be found at www.collegeatlas.org/best-colleges-and-universities/undergrad-national-overall/out-of-state. The list of top universities for in-state students, in which UW is No. 12, are available at www.collegeatlas.org/best-colleges-and-universities/undergrad-national-overall/in-state. 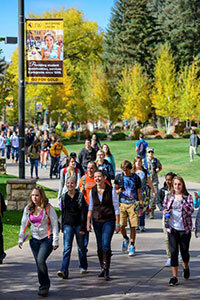 UW’s tuition for resident undergraduates is the lowest among the nation’s 173 public doctoral degree-granting institutions, meeting the Wyoming constitutional mandate that UW tuition remain “as nearly free as possible” for residents. UW’s nonresident tuition is among the lowest in the country. UW’s 96 percent student acceptance rate, meanwhile, is among the highest in the nation. “As a general rule, most A-List schools accept a high percent of students who apply, with some schools approaching 90-100 percent acceptance,” says CollegeAtlas.org. For more about the methodology used by CollegeAtlas.org, go to www.collegeatlas.org/the-a-list-faq.html.